La Buvette is an intimate French restaurant located in the heart of Richmond. This bistro style venue offers classic dishes from regional France. A comprehensive choice of wines are available to complement your meal. "La Buvette has established itself as Richmond’s premier, independent French restaurant. The informal, intimate dining room and secluded courtyard for al fresco dining, have welcomed guests from far and wide. Since opening in September 2004 we have created close working relationships with the Arts of Richmond, including Richmond Theatre, Curzon Cinema (the old Film House) and The Orange Tree Theatre. Originally an annexe to St. Mary Magdalene Church in Richmond Town Centre, the building was used as a canteen, bridge club and latterly a café until 2004. 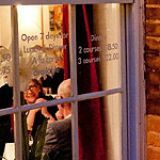 From September 2004, La Buvette has become a welcoming, unfussy and charming bistro – style eatery in Richmond Town, welcoming theatre, film and sports stars, politicians and artists, whilst maintaining popularity with neighbours and friends." Predominently French wine list with at least 10 wines by the glass. Outside seating available during the summer months in a walled courtyard. What did you think of La Buvette? I love French food and the offerings at La Buvette are great. I am corresponding with a French girl I met on the internet so might invite her over to La Buvette to impress her! We stumbled across La Buvette in Richmond last week. Wow what a find. 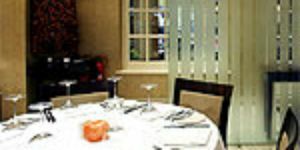 Lovely French cooking and the 2 course lunch menu is incredibly good value. La Buvette est fantastique! Please go to this place as it should be supported by the people of Richmond. I'd been recommended this restaurant by a friend, and let me tell you - I wasn't disappointed! The food was absolutely perfect and the staff were really welcoming and warm. I went with a few friends and we all thought it was a wonderful intimate venue. Would recommend! Popped in to La Buvette at last minute but so glad we did! The food is spot on and the drinks are wonderful. Visited La Buvette with some friends, sat out in the wonderful garden and had a lovely meal and a few chilled out drinks. Service is very good, would recommend. I’ve been coming to La Buvette for a few years now and I cannot fault the service or the meals. Their French dishes are always cooked to perfection and la buvette have some good white wines as well. We had lunch on La Buvette’s terrace the other day in the sun. We came from North London on a recommendation. We potted around Richmond and then had the most delightful lunch in the sun. Well worth the trip. We have been going to the La Buvette since 2006. It’s a great French bistro. The dining room is small and intimate and a great place for a romantic dinner. They have a little outside area for alfresco dinning, so if you want to get away from the hustle and bustle go and check it out. We had to go to church and to celebrate not being converted I took the wife for a slap up French meal. Well I couldn’t have been more surprised by this little place. Its on Church walk which is just by the church and the food is French, well everything seems French. Well worth a visit if are in Richmond. We ate at the Buvette the other day and had the 3 course lunch. My husband over indulged himself and had the cheese course as well – which is another £9. He couldn’t walk at the end of it, so a great meal all around. I don’t think much of the restaurants in Richmond, unless you like the chain stuff. La Buvette is a wonderful small French restaurant. Its sits between fine dining and good bistro food. As you would expect from a good French restaurant the wine list was predominantly French but great. Havin just been to St Mary Magdalene Church for a christening we fancied some local grub. By chance, on the way back to the car we came across La Buvette, what an incredible find. We ate well and so did the kids. I think we were quite lucky to get a table so I would recommend others to book in advance. Lovely place. La Buvette, where have you been all this time? This place is bijou but the French cuisine is magnifique. Richmond is stuffed full of chain places so its nice to get out and eat some non generic food. We have been a few times now and even took the kids last time. The kids menu is £9 which is pretty good value. Some of the most well cooked, flavoursome French food I have ever had. La Buvette is an outstanding little restaurant and the waiting staff were admirable. On the ball, quick and efficient, they really made our evening meal very special indeed, and of course, the food was fantastic. I loved this place and my wife and I took her parents there. The service was good and the in-laws, who used to live in France, were really impressed by the food and also the wine! A really great place to get some authentic French style food and drinks. Food at La Buvette isn’t cheap, but neither is it outrageous, especially for the quality of food you get. Took the kids there and they loved it, they are aged 6, 10 and 15 are there was something for all of them on the menu. Brilliant! My boyfriend took me here for my birthday and it was lovely, very romantic and the staff are very helpful. Had 3 courses and all of them were lovely, will be making him take me there again very soon! 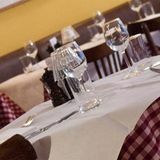 Brilliant staff, yummy food, good prices and perfect atmosphere what more could you want from a restaurant! I would recommend for people to give it a try if French food is your thing! My wife isn’t a fan of French food but even she enjoyed it at La Buvette! Good size portions, with brill prices!! Me and my mum went to La Buvette and was very surprised at the quality of the evening! Not normally a big fan of French Restaurants but I can honestly say La Buvette was lovely, with a fab selection of wines. Will defiantly be going back! Had to wait a little longer than expected for my meal, but La Buvette more than made up for it with the amazing french food served and the atmosphere was lovely. Defo worth the wait!! Loved La Buvette! Went there yesterday for a family meal and everybody loved the French cuisine, it had a lovely outside area and a great atmosphere, well worth the money spent. Will definitely be going again! I'm a big fan of La Buvette - ever since I went with my friends there a few weekends ago. My favourite food is French food and La Buvette does it better than most around Richmond. Went to La Buvette again at the weekend and was once again impressed. Love the setting, love the food and love the service. La Buvette comes up trumps again. Thank you! I was taken to La Buvette recently by my boyfriend, I’ve been wanting to try this place for ages & we are the other side of London so we don’t come this way too often. I couldn't fault the restaurant, the food or the location. And the staff were so helpful in giving us recommendations, and not the most expensive options like some places do! I cant wait to return. I’m not really a fan of French food so wasn’t really expecting too much when I came to La Buvette last week. But they’ve certainly changed my mind, all our dishes were perfectly cooked and it was too pricey either which was a bonus. I came to La Buvette recently for a private party. Not many of us are from Richmond but the birthday girl loves it here. After a few hours here I can see her point, everything from the French food, drinks, staff and location are just wonderful. I’m looking forward to my next meal here. I’m not local to Richmond but the French food and drinks at La Buvette will keep me returning. The staff are so nice and helpful and always give good recommendation. La Buvette has such a pretty outside area. After a stroll around Richmond a few of us came to la buvette for lunch in the sun, food & wine was lovely. I will be coming back soon. Absolutely love this charming restaurant! La Buvette never fails to deliver on quality and exceptional customer service. I am not local to the Richmond area but with restaurants like La Buvette around I wish I was. 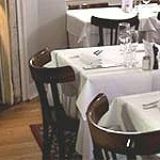 It really is an intimate and cosy restaurant with quality service and fine French cuisine. I love this place. Richmond has some pretty good restaurants, but this place is up there. La Buvette is small in stature but packs a big punch with its cuisine. 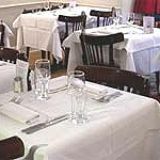 We had the lunch menu which was really good value for London and especially Richmond. I love Richmond and I love La Buvette. You will find it on Church Walk, which is a quintessential London street. We had the 3 course lunch for £18 which is brilliant value considering this is London. I would highly recommend this place. I have been to La Buvette quite a few times now and always enjoy the friendly service and high standard of food that is available. For me, the pan fried calves liver is always a winner (don't be put off by the fact that its liver) the fennel really adds a great dimension to the flavour of the dish :) one of my faves, even if it is a trek! Pretty decent French grub at La Buvette, but the service can sometimes be a little slow and it is a proper pain in the arse to get too! Sometimes you have to travel to find the best restaurants and La Buvette is no exception. I have been a fan of French Cuisine for years now and a good French restaurant are few and far between. La Buvette is one of those few so is definitely worth a hop on a tube to get too, the menu is classic French and the price tag is very agreeable. Sleek service ensures my future customer here every time at La Buvette.